Nonverbal communication (noun): Communication between people involving sending and receiving wordless (mostly visual) cues. Nonverbal communication encompasses use of voice, facial expressions, and physical environments/appearance. Unless you are someone who lives alone and never interacts with others, you are proficient in nonverbal communication. In fact, you are probably communicating nonverbally to someone right now. Nonverbal communication can get you pretty far, which is a lesson I learned after moving to a country where all I knew how to say was “yes,” “no” and “hello.” However, not all gestures or movements mean the same thing, and it’s important to understand what you are nonverbally communicating to others so that you are not misinterpreted. I learned that lesson the hard way in a restaurant in France. A waiter approached mid-bite to ask me how my meal was. With my mouth full, I simply made what we in the United States would think of as the “OK” sign. Although I meant to tell him my meal was perfect or OK, in France, that same gesture is used to signify something is worthless or a “zero.” Although I was happy with my meal, what my gesture told the waiter was that I thought the meal was worthless! 1) Perception vs Reality: What message are you trying to convey and what message are you actually sending? 2) Reading your players’ body language: What are your players saying to you? Click here to listen and watch this webinar. Click here for the notes. We’ve found that the younger generations pick up on nonverbal communication instantly. From as early as 1 year old, a child knows when you have a happy face or a sad face, a positive tone in your voice or a negative tone. It’s not what we say, it’s how we say it, plus how we look when we say it. Even text messages among kids are on the out, as more youngsters are simply communicating through pictures. Why? A picture is worth a thousand words, or course. 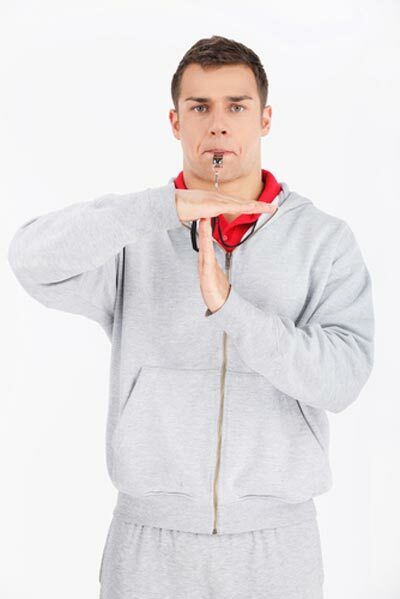 Avoid any miscommunication at your next practice, meeting or phone call and study up on your nonverbal communication. You may even start taking some accountability for others “misunderstanding” what you were trying to say. The Junior Volleyball Association is a not-for-profit organization that focuses on promoting the growth of youth and junior volleyball through program and resource development, education and events. JVA members are leaders in the junior volleyball community as directors, coaches or administrators. Learn more about the JVA and how to get involved here.